Edinburgh Fringe. Street performers on the Royal Mile. Edinburgh, Scotland, UK; 5 August, 2018. Edinburgh Fringe Festival's first weekend sees thousands of tourists and locals on the Royal Mile enjoying the free street performers. 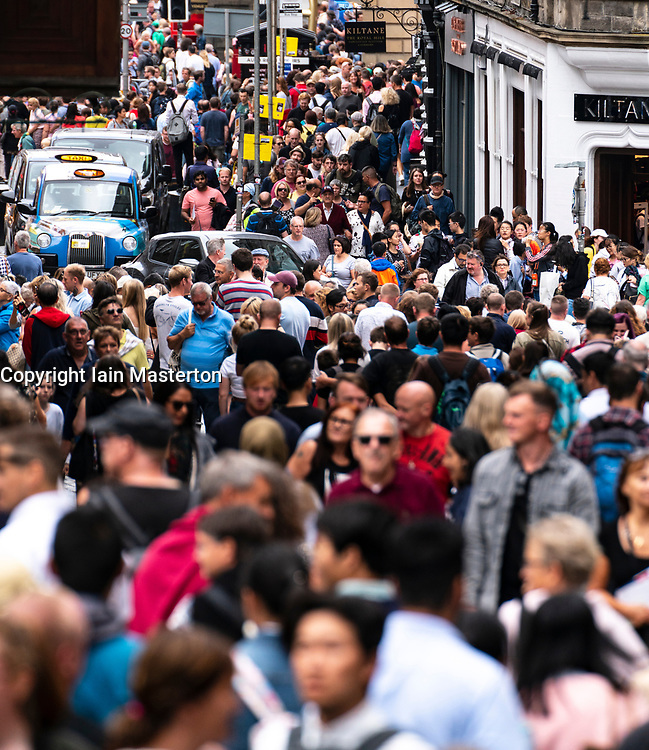 Pictured; Crowded streets at top of Royal Mile.